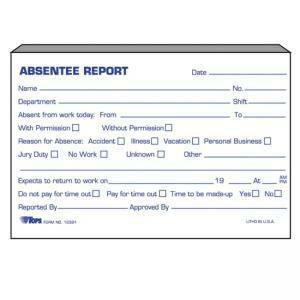 Absentee Report Form can be used by supervisors to report absences to the payroll department for pay adjustment. 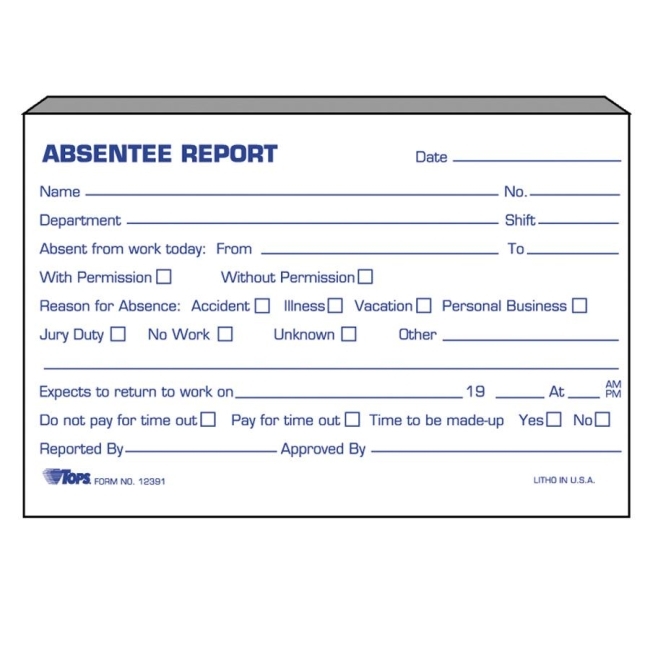 Report form is made of white stock and printed in blue on one side. Each pad contains 100 sheets.